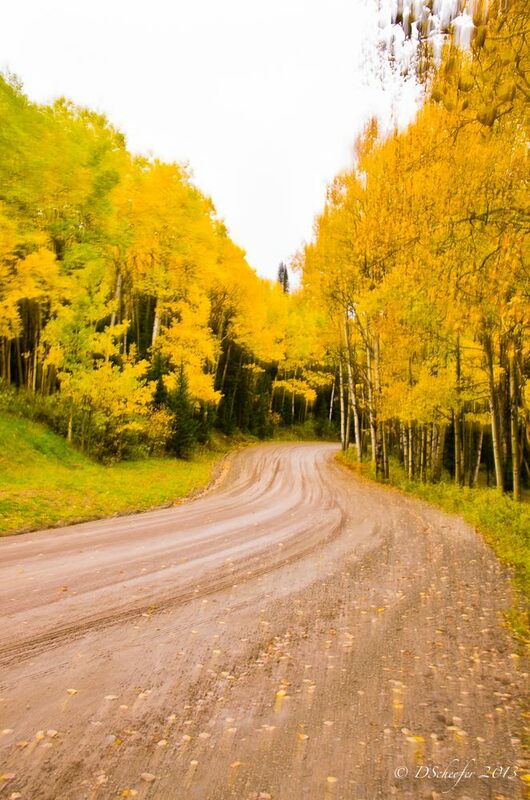 Each year as certain as the changing leaves come the ‘leaf peepers,’ the visitors that find themselves in western Colorado to watch the changing colors sweep across the landscape during the last weeks of September and early October. The last parts of September is usually optimal, and the last weekend of the month is a particularly popular time to visit. “Color Sunday” that day of the last weekend of September has been dubbed by some early marketers of the West Slope—and it is indeed almost certainly colorful then. From the landscape photographers point of view, it has one of the best displays of fall foliage found anywhere in the North American continent. This golden fall spectacle normally reaches its peak the last week of September. But Mother Nature keeps her own time and sometimes the tourists arrive early or late. This year it seems as the colors took their time to get here, and are just now entering their peak display, all at once, from valley floor to mountainside in a riot of fall color. 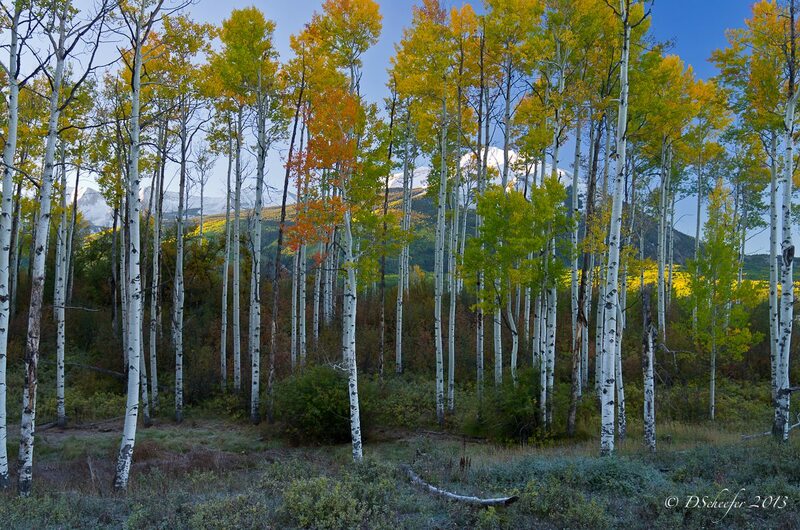 Kebler Pass, located in the West Elk Mountains of Colorado is home to one of the largest aspen groves in the United States. This aspen grove has been tested and found to be a clonal colony. It therefor grows from a single root system and is a single living organism. This hidden leviathan is ostensibly the largest living entity in the state of Colorado and one of the largest in the world. (The Grey Lady was editorializing favorably on the discovery that it was the aspen grove, and not a Michigan fungus, that made up the world’s largest organism). Aspen typically grow in large colonies which are clones derived from a single seedling, and spread by root suckers. New stems in the colony can appear 130 feet from the parent tree. An individual tree can live for 40-150 years above ground, but the root system of the colony is long-lived and can be thousands of years old. They send up new trunks as the older trunks die off above ground. A colony in Utah is thought to be 80,000 years old. 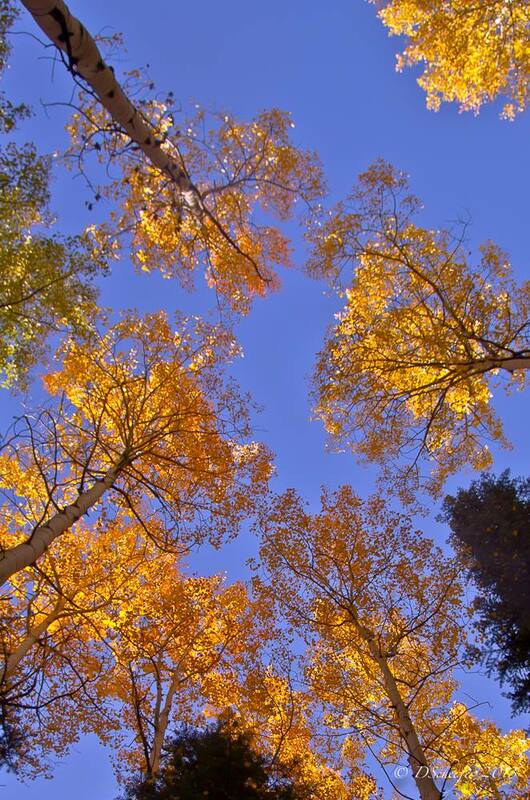 Some aspen colonies become very extensive, spreading about 3 feet a year, eventually covering many acres. And while the exact timing of it is up to Mother Nature, that she will delight is almost always for sure. 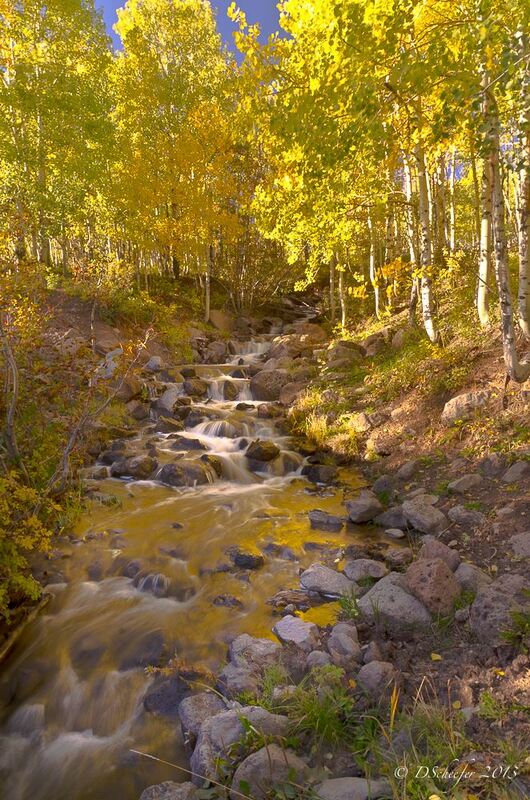 And this year the leaf season is here right now–and there is no better time for a visit, or to get out and enjoy, the West Elk Mountain and Colorado’s North Fork Valley. Most of the North Fork’s restaurants, wineries, and other attractions are still operating under their summer hours and will be into October. Various hunting seasons are under way, and the main rifle hunts start toward the end of October, making it a good time to remember your orange, and to get out and see what you can see in America’s great outdoors. All photos are used by permission, and generously provided by David Sheefer. I considered including information on some of the current threats that weigh on some of the public lands that make up the landscapes visited on the West Elk Loop. There are several. A top concern is oil and gas development, drilling and fracking–which threatens large portions of the public lands throughout the area, on both National Forest and BLM lands. A large molybdenum mine is planned for just above Crested Butte against stiff local opposition. The BLM lands are managed out of three separate field offices–and the local effort to protect those in the North Fork (managed out of the Uncompahgre Field Office of the BLM in Montrose) from poorly managed oil and gas drilling and fracking is the genesis behind this site (Go to the ‘About this Project’ page from the top menu bar to learn more, or read the ‘Story of the Scrapbook’ currently on the home page. But I decided the story should be about getting out and enjoying the beauty. But do remember: it will take people like yourself–like all of us–standing up to make sure it stays that way.